Three patients had "essential" hypernatremia due to hypothalamic lesions and their clinical features were compared with those of previously described cases. 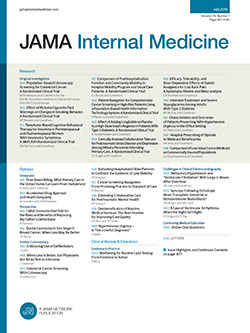 Key findings were (1) chronic but fluctuating elevation of serum sodium level that was not corrected by fluid administration, (2) evidence of normal extracellular fluid volume, (3) intact antidiuretic hormone (ADH) synthesis and renal tubular response to ADH, (4) impaired osmotic regulation of ADH secretion, and (5) correction of hypernatremia with exogenous vasopressin. Clinical and experimental observations suggest that the anatomic lesion leading to sustained hyperosmolality in this disorder is injury to osmoreceptors with relative sparing of neural elements synthesizing ADH. Loss of sensitive osmotic control of ADH secretion and preservation of less sensitive volume modulation may explain both the wide fluctuations in serum sodium levels and the inability to correct hyperosmolality with fluid loading.